Lazy eye is the name commonly used for the eye condition known as amblyopia. Amblyopia is a development disorder where one of the eyes fails to achieve normal vision focus and acuity. 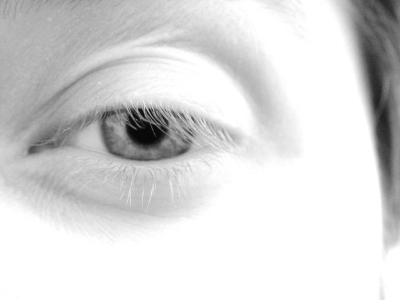 Lazy eye begins during infancy and early childhood (usually before the age of 6). A common cause of amblyopia is a condition called strabismus. Strabismus is the inability of both eyes to maintain proper alignment and work together. When focusing on an object, one eye will look directly at the object while the other eye drifts inward, outward, upward or downward. Due to the misalignment of the eyes and to avoid double vision, the brain eventually ignores the images from the wandering eye. This leads to the development of amblyopia in that eye. This type of amblyopia is called strabismic amblyopia. Another cause of amblyopia is dissimilar refractive errors in the eyes. Unlike strabismus, both of the eyes may be perfectly aligned, but one of the eyes may have significant farsightedness, nearsightedness or astigmatism while the other eye does not. Like with strabismus, the brain will eventually ignore the blurred images from the eye with the highest degree of refractive error and rely entirely on the images from the other eye. This leads to the development of a type of amblyopia called refractive amblyopia. The methods for treating amblyopia have a lot to do with the type of amplyopia. In some cases of refractive amblyopia, corrective lenses (eyeglasses or contacts) will restore normal vision. The lenses are specially ground with a prismatic effect, which helps draw the eye into better alignment. The wearing of a patch over the dominate eye is frequently utilized to force and train the brain to accept input from the amblyopic eye. This develops the visual acuity of that eye. The duration for wearing an eye patch varies. For some, the patch may be required a few hours each day for a period of weeks while for others, the patch may need to be worn all day long for a period of months. Given that amblyopia is a condition that typically affects young children, there are obviously challenges with getting a child to consistently wear a patch. Vision therapy is also another important tool used to treat amblyopia. Vision therapy helps improve the alignment of the eyes and teaches the eyes to work together for clear vision. Treating amblyopia early leads to the best outcomes for restoring normal vision. The American Optometric Association recommends infants have an eye exam when they are 6 months old. Testing and detecting amblyopia is one of the reasons why an eye exam is suggested so early in life.